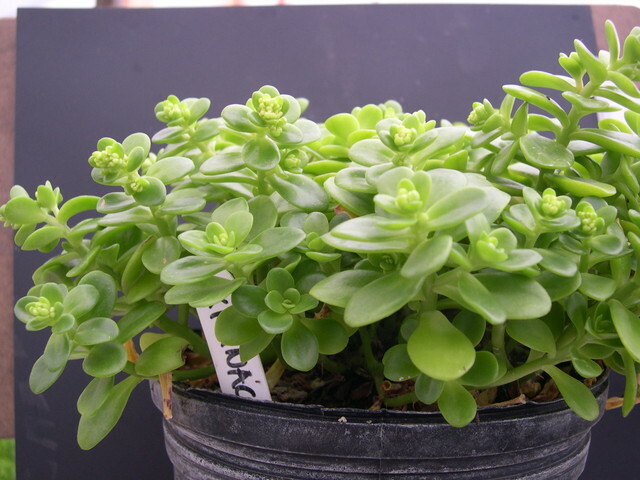 Often mislabeled Sedum decumbens or Sedum confusum. This is a Mexican subshrub species with rounded glossy green leaves. Numerous yellow flowers in clusters in spring. I grow mine in an unheated greenhouse where they have survived 14 degrees F. The soil has been frozen around the roots of these day after day for 2 weeks and the plants all survived.